Marek Malecki MD PhD is President of the Phoenix Foundation, San Francisco, CA, USA, Principal Investigator at the National Institutes of Health, Bethesda, MD, USA, and Visiting Professor at the University of Wisconsin. He earned the MD degree at the Medical Academy, Poznan followed by Residency/Fellowships in Molecular Medicine in Rigshospitalet, Copenhagen, Cancer Center, Vienna, and Cancer Center, Warsaw. He earned the PhD degree at the Polish Academy of Sciences, Warsaw followed by the postdoctoral fellowships in molecular biology at the Austrian Academy of Sciences, Salzburg, ETH, Zurich, Utrecht University, Utrecht, Cancer Center, Amsterdam, Biozentrum, Basel. Over the last 20 years, he held faculty positions in Oncology and Molecular Medicine at the leading teaching hospitals and medical universities in the USA including the UW, UCSD, and SDSU. There, he acquired solid experience in streamlining advances in genomics and proteomics into novel strategies of therapy, as well as in teaching medical students, residents, and fellows. During his career, he served as the president and CEO of the Phoenix Biomolecular and Foundation for Molecular Medicine. Since 1988 his research, as the Principal Investigator, was continuously funded by the grants from the National Science Foundation and the National Institutes of Health. He is the first or senior author on the peer-reviewed publications in the high impact journals, which are indexed on the PubMed. He is the inventor of the gene therapies, therapeutic vaccines, and regeneration of tissues, which are published at the USPTO and WIPO. He was elected to serve as the Editor in Chief in peer-reviewed, open-access journals in Science, Technology, and Medicine, as well as Editorial Board Member and Reviewer at many others. Vaccines for virus infected patients. Dennis Christensen is a Head of Vaccine Delivery and Formulation Research Section at Statens Serum Institut. He is responsible for the vaccine formulation research. Designing novel vaccine delivery systems based on liposomes and research within mechanistic understanding of the vaccine delivery systems with relation to immunological efficacy. • The use of liposomes and emulsions as delivery systems for immunostimulators and vaccine antigens. • Examination of how physicochemical properties of liposomes, emulsions and antigens as well as different delivery and delivery routing routes may affect the immunological result. Dr. Frédéric Deschamps is a medical doctor since 1990 and he has completed his PhD of toxicology in 1993 at the University of Lille, France. He is the director of the Department of Occupational Health of the Medicine Faculty of Reims, France. He has published more than 40 papers in medical journals about occupational health and diseases. Dr. Cyril Gerard Gay obtained a B.Sc. in Chemistry and a Doctor of Veterinary Medicine from Auburn University, and a Ph.D. in Microbiology from The George Washington University. Dr. Gay has worked in the animal health research field for the last 25 years holding several positions of increasing responsibility in the federal government and the pharmaceutical industry. As Chief, Biotechnology Section, Center for Veterinary Biologics (CVB), United States Department of Agriculture (USDA), Dr. Gay developed the procedures for licensing molecular vaccines that led to the first license for a live recombinant vectored vaccine. In the pharmaceutical industry (SmithKline Beecham Animal Health and Pfizer Animal Health) Dr. Gay led several cross-functional teams that successfully developed and licensed veterinary vaccines for companion animals and livestock. As Director, Global Product Development, Pfizer Inc., Dr. Gay developed strategic and tactical plans that interfaced R&D, clinical development, manufacturing, marketing, and product life-cycle management. Dr. Gay joined Agricultural Research Service (ARS), USDA, in 2002. Dr. Gay currently holds the position of Senior National Program Leader and provides program direction and national coordination for the Department’s intramural animal health research program, with focus on eight research laboratories located in Ames, Iowa, East Lansing, Michigan, Clay Center, Nebraska, Athens, Georgia, Orient Point, New York, Beltsville, Maryland, Pullman, Washington, and Manhattan, Kansas. Dr. Gay was the 2010 recipient of the USDA Secretary’s Honors Award for interagency response to the pandemic H1N1 influenza outbreak, and the ARS Special Administrator’s Award for outstanding and rapid research support for pandemic H1N1. Dr. Masoud H Manjili is an Associate Professor of Immunology at the Department of Microbiology Immunology Virginia Commonwealth University School of Medicine and Member of Massey Cancer Center Richmond VA. He conducted his postdoctoral fellowship at Roswell Park Cancer Institute Buffalo NY 1999-2003. He has received a PhD in Immunology from The University of Sydney Australia 1993-1996. He has received a DVM from The University of Tehran Iran 1983-1990. He is serving as a Managing Editor of Frontiers in Bioscience. Brian Abel received his Ph.D. in 2006 at the ETH, Zurich, and thereafter conducted a postdoctoral fellowship at SATVI, University of Cape Town, where he oversaw the immunological assessment of a novel TB vaccine in clinical trials and contributed to TB biomarker discovery. Brian completed an MBA at Tel Aviv University and ISB, Hyderabad, to facilitate a transition from academia into translational roles in biomedical science. Brian joined SIgN in 2012 to manage the Immunomonitoring Platform, conducting business development, project management and supporting finalization of agreements with industry partners, as well as acquiring regulatory approval for clinical research. He is also actively involved in Platform technology development in order to keep it up to date with the latest advances in the field of Immunomonitoring. In August 2016, Brian became the Head of the Immunogenomics Core to support and drive genomic activities for SIgN's researchers and facilitate collaborations with industry partners. He is actively involved in Platform technology development in order to keep it up to date with the latest advances in the field of Immunomonitoring. Pierre A. MORGON is Chief Executive Officer of MRGN Advisors, a consultancy dedicated to the healthcare sector, and Regional Partner for Switzerland at Mérieux Développement, an evergreen investment structure focused on medical devices, in vitro diagnostics and patient management services. He is also Chairman of the Board of Virometix (developing proprietary synthetic nanoparticle platform in vaccines and immunotherapeutic drugs for viral diseases and cancer), Non-Executive Director to the Board of Theradiag (focusing on in vitro diagnostics in auto-immunity, infectious diseases and allergy) and Non-Executive Director to the Board of Eurocine Vaccines (developing intra nasal vaccines). He holds a Doctorate of Pharmacy, a Master in Business Law and a MBA..
developing proprietary synthetic nanoparticle platform in vaccines and immunotherapeutic drugs for viral diseases and cancer. Focusing on in vitro diagnostics in auto-immunity, infectious diseases and allergy. Developing intra nasal vaccines. Mark Tomai, PhD currently works in Business Development at 3M Drug Delivery Systems. He is responsible for licensing/development agreements involving its transdermal product offerings including 3M’s microneedle platform and also licensing its toll-like receptor (TLR) 7 and 8 agonists for a variety of uses. Dr. Tomai spent 16 years working in 3M Pharmaceuticals in Drug Discovery and Preclinical Development. He is an expert on TLR7 and TLR8 agonists and an author on over 80 publications and inventor on 12 issued patents in this area. Professor Barry Buckland has a PhD in Biochemical Engineering from University College London, obtained in 1974. He joined the Merck Research Laboratories (MRL) in 1980 and built a world class Bioprocess R&D group. He has been the leader of process development of all biologically made product candidates within the MRL pipeline and manufacture of Clinical Supplies during the past 20 years.Dr. Buckland has over 70 publications in Peer reviewed journals. Dr. Buckland holds PhD in Biochemical Engineering at University College London, in 1974. He has a B.Sc. in Chemical Engineering from the University of Manchester, UK. Barry Buckland is an experienced International expert for the Development of Biologic products with a special focus on vaccines and Therapeutic proteins. Dr. Gay obtained a B.Sc. in Chemistry and a Doctor of Veterinary Medicine from Auburn University, and a Ph.D. in Microbiology from The George Washington University. Dr. Gay has worked in the animal health research field for the last 25 years holding several positions of increasing responsibility in the federal government and the pharmaceutical industry. As Chief, Biotechnology Section, Center for Veterinary Biologics (CVB), United States Department of Agriculture (USDA), Dr. Gay developed the procedures for licensing molecular vaccines that led to the first license for a live recombinant vectored vaccine. In the pharmaceutical industry (SmithKline Beecham Animal Health and Pfizer Animal Health) Dr. Gay led several cross-functional teams that successfully developed and licensed veterinary vaccines for companion animals and livestock. As Director, Global Product Development, Pfizer Inc., Dr. Gay developed strategic and tactical plans that interfaced R&D, clinical development, manufacturing, marketing, and product life-cycle management. Dr. Gay joined Agricultural Research Service (ARS), USDA, in 2002. Dr. Gay currently holds the position of Senior National Program Leader and provides program direction and national coordination for the Department’s intramural animal health research program, with focus on eight research laboratories located in Ames, Iowa, East Lansing, Michigan, Clay Center, Nebraska, Athens, Georgia, Orient Point, New York, Beltsville, Maryland, Pullman, Washington, and Manhattan, Kansas. Dr. Gay was the 2010 recipient of the USDA Secretary’s Honors Award for interagency response to the pandemic H1N1 influenza outbreak, and the ARS Special Administrator’s Award for outstanding and rapid research support for pandemic H1N1. In 2001 Dr Rob Lambkin-Williams designed and implemented the first Human Viral Challenge Study to be conducted in Europe in the 21st century. He has designed and supervised in excess of 40 studies conducted at Retroscreen Virology since 2001, and has been the Principal Investigator on many. Rob joined Retroscreen Virology in 1995 as a Senior Scientist and is now the Chief Scientific Officer. Rob completed his PhD in Avian Influenza (Bird Flu) at the University of Warwick in 1993 - long before it became a popular news item. He often is the first media point-of-contact regarding Avian Influenza and other virus-related topics. Rob is an expert in respiratory viruses and HIV; he has co-authored many papers including a recent paper in the Nature Medicine journal, which has reset our understanding of the immune response to Influenza, and forms the basis of the RSV’s recent patent application for a universal Influenza vaccine. One of Rob’s key achievements was the establishment of the RSV Human Viral Challenge Model that led to the first proof of concept of a new type of therapeutic agent (known as a siRNA) against an infectious disease. He was the senior author on the paper that described the establishment of the model, which was published in the prestigious American Thoracic Society’s Blue Journal. Other notable achievements include the first study to demonstrate the efficacy of a novel DNA-based vaccine against Influenza, and also a series of studies that dissected the human body’s early response to infection and thus could help develop new highly sensitive diagnostic techniques or antiviral targets. Giulio Tarro graduated from Medicine School, Naples University (1962). Research Associate, Division of Virology and Cancer Research, Children’s Hospital (1965-1968), Assistant Professor of Research Pediatrics, College Medicine (1968-1969), Cincinnati University, Ohio. Oncological Virology Professor, Naples University (1972-1985). Chief Division Virology (1973-2003), Head Department Diagnostic Laboratories, (2003-2006). D. Cotugno Hospital for Infectious Diseases, Naples; Emeritus, 2006 -. Since 2007 Chairman Committee of Biotechnologies and VirusSphere, World Academy Biomedical Technologies, UNESCO, Adjunct Professor Department Biology, Temple University, College of Science and Technology, Philadelphia, recipient of the Sbarro Health Research Organization lifetime achievement award (2010). President Foundation de Beaumont Bonelli for Cancer Research. Biotechnology, R&D Business Development, Drug Development, Clinical Development, Drug Discovery, Vaccines. Nathalie Garçon, PharmD, PhD is currently the chief executive (CEO) and scientific officer (CSO) of BIOASTER. She joined BIOASTER, the French technology research institute for infectiology and microbiology as chief scientific officer in July 2014.In this role, Dr Garcon directs the scientific aspect of the institute with the objective of accelerating the access to new technologies in infectious diseases that patient can benefit from. She was promoted to CEO in April 2015.Following the successfulcompletion of two PhDs, one in biological pharmacy and the other in immunotoxicology and immunopharmacology, Dr Garçon moved to the UK for 1 year as a postdoctoral research fellow at the Royal Free Hospital in London, undertakingresearch on liposomes in vaccines. She then moved to the USA where she spent 4 years at Baylor College of Medicine in Houston, Texas, first as a postdoctoral research fellow, then as assistant professor, working on vaccine delivery systems and immunopotentiators. Dr Garçon joined SmithKline Beecham Biologicals now GlaxoSmithKline vaccines in 1990, where she set up and led the vaccine adjuvant and formulation group. She moved from this position, to head of technologies, head of research, vicepresident, head of global research and north America RD; and vice president, head of the global adjuvants and delivery systems centre for vaccines. In her last role within GSK vaccines before joining BIOASTER, Dr Garçon hold the position of vicepresident, head of adjuvants and technologies innovation centre, she provides leadership within GSK Biologicals in the fields of new vaccines technologies, from discovery to registration and commercialisation. Nathalie Garçon is Vice Presidentand Head of Global Adjuvant and technologies innovation centre at GSK vaccines Dr Garçon expertise in vaccinology extends from research to manufacturing, in particular immunology, adjuvant, formulation and innovation technologies, analyticalmethods, pre-clinical experimentation and toxicology/safety evaluation, regulatory and licensure and testing. Dr Garçon is the 2014 laureate of the Stanley Plotkin award for vaccines and vaccine technologies. She has authored over 60 papers andbook chapters, is the editor of several books, and sit at the scientific committee of several journals. She holds more than 100 patents. vaccine adjuvant, Vaccine delivery systems and immunopotentiators. Ger Rijkers (1952) is a medical immunologist and professor in Biomedical and Life Sciences at Utrecht University. He is the head of the Science Department of University College Roosevelt in Middelburg, The Netherlands. He also works as a senior scientist at the Laboratory of Medical Microbiology and Immunology of the St. Antonius Hospital in Nieuwegein. Ger Rijkers has a broad research interest with emphasis on mucosal immunology, immunoregulation (in autoimmune diseases, allergic diseases and infections), interaction between gut microbiota and the immune system, and, last but not least, vaccination. Rijkers has published over 300 papers in peer-reviewed scientific journals. He published (as editor in chief) the textbook “Immunologie” (ISBN978 90 313 4263 1). He is member of the Editorial Board of Beneficial Microbes and of Pneumonia. Ger Rijkers has a wide research interest with emphasis on mucosal immunology, immunoregulation (in autoimmune diseases, allergic diseases and infections), interaction between gut microbiota and the immune system, and vaccination. Geert Vanden Bossche obtained his DVM at the Veterinary Faculty of Ghent and his PhD in Virology at the University of Hohenheim, Stuttgart. Following his postdoctoral training in Virology, Immunology and Molecular Biology at the Free University of Berlin and the University of Hohenheim (Germany), where he subsequently held adjunct faculty appointments, he transitioned to the Vaccine Industry to serve various senior roles in both early and late vaccine development. He then joined the Bill & Melinda Gates Foundation in Seattle to serve as Senior Program Officer in Vaccine Discovery for Global Health. Furthermore, Geert also founded UNIVAC, coordinated the Ebola Vaccine Program on behalf of GAVI and serves as a visiting scientist at the REGA Institute, University of Leuven (Belgium). Geert is board certified in Virology and Microbiology, the author of over 30 publications, and inventor on a patent application for universal vaccines. He has presented vaccine- and adjuvant-related topics at multiple international congresses. Vaccine adjuvants, critical assessment of novel vaccine approaches or technologies, Vaccine development, immunopathogenesis of infectious and immune-mediated, noninfectious disease. 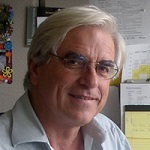 Eduard Karamov, PhD., DrSc, is involved in retrovirology research since 1985. The first Russian HIV strain was isolated in his laboratory. He supervised the development of first diagnostic tests for HIV, which were widely used in USSR and Russia, and antivirals used for AIDS treatment. He published over 100 articles in scientific journals and made over 100 presentations at international conferences and symposia. Professor Karamov authored four monographs and a textbook on virology. He was a supervisor in sixteen Ph.D. and Dr.Sci. fellowships. His lab served as a probation site for many scientists of the former USSR and Eastern Europe. 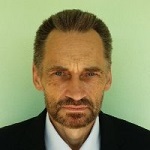 He was a member of the Advisory Board of the Russian AIDS Vaccine Program. He is a member of the Vaccine Advisory Committee (VAC) of WHO and a UNAIDS scientific expert panellist. He is an academic editor of Medicine and a member of the Editorial Board of AIDS and Lancet HIV, as well as of several Russian peer-reviewed journals. He serves as a Chairman of the Biomedical Commission of the Committee for Science and Innovation of the State Duma of the Russian Federation. His honours and awards include: Award of the USSR Council of Ministers 1981, USSR Exhibition of Economic Achievements Medals (Silver 1986, Gold 1988), Science Award of the Government of the Russian Federation, 2008, Zhdanov Award of the Russian Academy of Medical Sciences, 2009, and Gold Cross of the Federal Medico-Biological Agency of Russia, 2012. Akira Homma was born on August 12, 1939, in President Wenceslau, São Paulo, son of Harusi Homma Homma and Koyuki. The Adolfo Lutz Institute in São Paulo, came to the Pan American Center for Foot-in Duque de Caxias, Rio de Janeiro, in 1961. He graduated in Veterinary Medicine in 1967 from Universidade Federal Fluminense. Soon joined Fiocruz, to work on Polio Laboratory of the Department of Biological Sciences, School of Public Health Foundation, along with Hermann Schatzmayr. In 1972, he obtained the degree of Doctor of Science at Baylor College of Medicine in Houston, Texas, United States, with the thesis "Experimental studies of using coil filter for concentration of sewage virus." Akira Homma points out in his interview, that the thesis of Oswaldo Cruz was also on dissemination of infectious agents via water, and their study is about viruses and the Oswaldo Cruz on bacteria. Worked in the Laboratory Bayer in Germany in the production of vaccines against foot and mouth disease in the year 1974. Later, from 1990 to 1991, he coordinated the National Program for Self-Sufficiency in Immunobiology (Pasni), the Ministry of Health, and this year until 1997 coordinated the Special Program for Vaccines and Immunization PAHO. He was superintendent and director of the Institute of Technology in Immunobiology of Fiocruz (Bio-Manguinhos), 1976-1989, president (1989-1990) and Vice President of Fiocruz Technology (1997-2001). Responsible for structuring Bio-Manguinhos, articulated agreements with Japanese institutions aiming at the production of oral polio vaccine and other vaccines. Throughout its history the institution has exercised the activity of teaching and research, with numerous publications and participation in scientific events. In 2001 he was elected director of Bio-Manguinhos, a position in which it remains until today. Emmanuel Drouet, is professor of Virology at the University of Grenoble-Alpes (France), and previously served as a biomedical pathologist in the Institut Pasteur (Lyon, France). Dr Drouet’s research investigates the persisting viruses in human (RNA and DNA viruses) and the balance with our host immune system. He focuses on their effects on humans (both their impact in pathology and their symbiotic relationships in humans).. Emmanuel Drouet has an excellent track record in herpesvirus field, and his group is engaged in clinical research in the field of EBV diseases. Current research included the field of Hepatitis C Virus research, leading to elucidation of some aspects of its epidemiology and control. Current research included the field of Hepatitis C Virus research. Marc P Girard received his doctorate in veterinary medicine at Paris University in 1960, and his doctorate in Science in 1967, also in Paris. He trained for three years in the molecular biology of poliovirus as a Post-doctoral Fellow in the USA with Pr James Darnell, Renato Dulbecco and David Baltimore. He went on studying the molecular biology and genetics of poliovirus, then SV40 and adenovirus, before moving to HIV. He was a visiting professor at Albert Einstein College of Medicine (Pr Hurwitz), the NIH (Dr Anthony Fauci), the Salk Institute in La Jolla (Pr David Baltimore) and Duke University (Pr Bolognesi). He worked for the last 20 years of his career on the development of an HIV vaccine. Pr Girard was the Director General of the Mérieux Foundation in Lyon from mid 2001 to end of 2004. He previously was the Director of the Center for Research in Immuno-Virology (CERVI) in Lyon, France, which includes the BSL4 Virology Laboratory that was operated jointly by the Mérieux Foundation and the Pasteur Institute, and the Federative Research Institute on Virology, Immunology and Pathology of Emerging Diseases (IFR 74), a research laboratory of the French National Health & Medical Research Institute (INSERM). Among the positions held by Pr Girard prior to his appointment in Lyon were Head, Department of Virology, and Professor, Chief of the Laboratory of Molecular Virology, Institut Pasteur, Paris (1980-1999); Scientific Director (CSO), Pasteur Vaccins, a joint industrial subsidiary of the Pasteur and Mérieux Institutes (1984-1990); Vice-Director of the Pasteur Institute, Paris (1990-92), Professor of Virology and Molecular Biology at University Paris 7 Denis Diderot, Paris (1974-1984; on leave until 2001). Pr Girard was the Chairman of the Concerted Action “Vaccines” at the French National AIDS Research Agency (ANRS) from 1988 to 1998. He then chaired the E.U. HIV Vaccine Initiative “EuroVac”, an international AIDS vaccine Research Consortium which grouped together 21 European laboratories participating in comparative Phase I clinical trials of candidate HIV vaccines in human volunteers. Marc Girard went on official retirement on 31.12.2004 but he has remained active, teaching, giving talks and writing review articles on vaccines as an Honorary Professor at University Denis Diderot (Paris 7). He also is a member of the French National Academy of Medicine and of the French Veterinary Academy. He has been the organizer of the “Cent Gardes Conference” on HIV Vaccines since 1986. 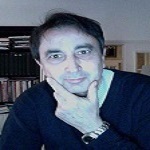 Luigi Aurisicchio, PhD, received his Laurea in Biology in 1996 at the University of Napoli "Federico II". At the Stazione Zoologica A. Dohrn in Napoli characterized signal transduction mechanisms in thyroid cancer. In 1997, joined IRBM/MRL focusing on the development of gene therapy approaches for the cure of viral hepatitis. Subsequently contributed to the approval and development of Cancer Vaccine program, being Research Group Leader in the last 5 years. His research interests include the discovery, characterization and engineering of novel tumor associated antigens for cancer vaccines, but also intratumoral delivery of siRNAs, generation of novel monoclonal antibodies and development of Oncology pre-clinical models. Has published >60 papers in peer reviewed International Journals and is author of 8 patents. His research interests include the discovery, characterization and engineering of novel tumor associated antigens for cancer vaccines, but also intratumoral delivery of siRNAs, generation of novel monoclonal antibodies and development of Oncology pre-clinical models. His research group is developing vaccines and new diagnostics for chlamydial diseases in humans and animals as well as an improved understanding of chlamydial genomics, cell biology and pathogenicity. Giampietro Corradin graduated in chemistry at the University of Padua and received his PhD degree in chemistry from the University of California, Santa Barbara, after completion of a thesis on the structure and function of cytochrome c. After a post-doctoral position in biochemistry at Dartmouth Medical School, Hanover, New Hampshire, he continued his training in molecular immunology at the National Jewish Hospital, Denver, Colorado. He joined the Institute of Biochemistry in 1979 where he was an Associate Professor. For the last 15 years the main focus of his laboratory has been the elucidation of the immunological mechanisms of protection in malaria using well-defined animal models. In addition, development of vaccine candidates has been actively pursued by introducing new and faster approaches for the identification, production and development of novel malaria vaccine candidates. Graduated in Medicine and Surgery from Bangladesh in 1980 and received PhD in Medical Sciences from Japan in 1993. Being a post-graduate fellow from 1994-1996, worked as full faculty member at the Graduate School of Medicine, Ehime University, Japan, from 1996-2008. In 2008, joined Toshiba General Hospital, Tokyo, Japan as Principal Investigator. Worked to elucidate pathogenesis of chronic liver diseases and hepatocellular carcinoma; subsequently developed therapeutic vaccine for HBV transgenic mice and now have been conducting pilot studies and clinical trials in patients with CHB with Therapeutic Vaccines for last one decade to optimize a safe, effective and clinical viable regimen of this approach in CHB patients. Have authored more than one hundred scientific articles in peer-reviewed journal. Associated with all major international and local liver organizations. Immunology, Immune therapy, Heptatitis, Gastroenetrology, Hepatology, Dendritic cells. XL Lin serves as Director of Market Development for Esco Group. He founded and manages the Esco Pharma Division within the Esco group of companies in 2009 developing the companies’ very first cGMP Downflow/Containment Booths and Isolation systems from Concept Development to Sales, Project management, site-work and validation. Under his leadership Esco Pharma has expanded from just a small division to now having 3 factories globally in USA/ UK and Singapore. He brings his unique skillset in social entrepreneurship, market development, strategic product development, global alliance networking, sales/contract management, clean air/containment facility and systems design / integration into VacciXcell. XL Lin graduated with a Bachelor of Sciences from University of Sydney he is currently pursuing various options for further studies. 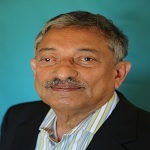 Dr. Srivastava joined Protein Sciences in 2012 as Vice President, Product Realization. He has a strong background in vaccine development, particularly in immunogen design, purification, analytical and formulation development, and has published extensively in these areas. Dr. Srivastava served on the NIH special emphasis study section focused on vaccine development for ten years, and in 2011 he co-edited the book, "Development of Vaccines: From Discovery to Clinical Testing." Previously, Dr. Srivastava spent more than twelve years at Chiron Corporation/Novartis Vaccines and Diagnostics, Inc. in various capacities, including Head (AI), Protein Biochemistry; Head, Vaccine Manufacturing; and Head, Protein Expression and Analytics. He also spent about two years at the Vaccine Research Center, a division of the National Institute of Allergy and Infectious Diseases, where he led the purification, analytical and formulation development of vaccine candidates for clinical evaluation. Prior to joining the biotechnology industry, Dr. Srivastava was an Assistant Professor of Research in Microbiology and Immunology at the Medical College of Pennsylvania. He holds a Ph.D. from the Kanpur University, India and completed his post-doctoral training with Prof. Luc Perrin at the Hospital Cantonal, University of Geneva, Switzerland. Yuzhang Wu has completed his Ph.D for Immunology at the age of 29 years from Third Military Medical University School of Medicine. He is the director of the Institute of Immunology, PLA, the Chair of National Engineering Lab for Vaccine Development of China and National Center for Immunoproducts Research and Development of China. He has published more than 150 papers in reputed journals, applied for 75 international and national invention patents, among which 43 has been approved; and has gained 2 item of Computer software copyright. He is serving as chief-editor of Immunological Journal. Maurizio Chiriva Internati completed his doctorates of immunology at the University of Nottingham, United Kingdom and morphological sciences at the University of Milan, Italy. He completed his postdoctoral research on tumor immunology and cancer vaccine studies from the University of Arkansas for Medical Sciences. Currently, he is the director of Basic and Translational Research at the division on Hematology& Oncology at the Texas Tech University Health Sciences Center, School of Medicine, and is a senior editor for the journal, International Reviews of Immunology. He has published more than 100 papers in peer reviewed journals and serves as on the editorial board of several reputed cancer journals. Research is focused on developing new therapies for Multiple Myeloma, ovarian and lung cancer, and prostate cancer and melanoma. Geert Vanden Bossche obtained his DVM at the Veterinary Faculty of Ghent and his PhD in Virology at the University of Hohenheim, Stuttgart. Following his postdoctoral training in virology, immunology and molecular biology at the Free University of Berlin and Hohenheim (Germany), where he subsequently held adjunct faculty appointments, he transitioned to the Vaccine Industry where he served various senior roles in both early and late vaccine development at GlaxoSmithKline Biologicals, Novartis Vaccines & Diagnostics and Solvay Biologicals. He then joined the Bill & Melinda Gates Foundation to serve as SPO in Vaccine Discovery for Global Health. He is founder of UNIVAC llc in the US and UNIVAC NV in Belgium and visiting scientist at the REGA Institute, University of Leuven (Belgium). Geert is board certified in virology and microbiology, the author of over 30 publications, and inventor on several patent applications. He has presented vaccine- and adjuvant-related topics at multiple international congresses. 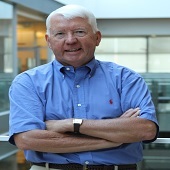 Dr. Ellis has over 30 years of line and senior management experience in R&D in large (including Merck), medium & small pharma and biotech companies in US & Israel – directing projects across multiple classes of indications, and directing stages from research and preclinical through development and clinical, plus project management, strategy and evaluation. He was project leader and champion for key phases in the development of five products that accrue ~$4B / year in annual sales, and brought eight product candidates to the clinic. He holds PhD (Cornell U) MBA (U Maryland), and BA (U Chicago) degrees. He has given >125 presentations at international conferences. 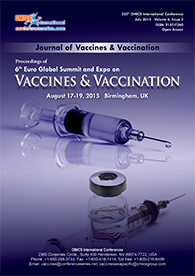 He is founding and incumbent Editor-in-Chief of the peer-reviewed indexed journal Human Vaccines & Immunotherapeutics. Dr. Tong-Ming Fu is a senior scientist at Merck Research Laboratories, and is leading the research lead for Merck CMV vaccine program. He obtained his medical degree at Peking University Health Science Center, formerly Beijing Medical University, in China, and his Ph.D. at Pennsylvania State University, Hershey Medical Center, in US. He joined Merck Research Laboratories after his academic trainings, and has been with Merck Vaccines Research for 20-years. He is active in many aspects of vaccine research, including vaccine target identifications, vaccine designs, immune assays, and animal model development, and his research supported development of Merck novel vaccine programs, including HIV-1 and influenza M2 peptide-conjugate vaccines. He also has research interests in DNA vaccine mechanisms, immune-enhancement by novel adjuvants and antibody-based immune modulations by PD- 1 blockade. Dr. Boritz began his HIV research career in the mid-1990s as a summer student in the laboratory of Dr. John K. Rose. An interest in fundamental and translational studies of host-virus interactions then led him to pursue combined M.D./Ph.D. training at University of Colorado Health Sciences Center in Denver. He completed his Ph.D. in the Immunology Program studying HIV-specific CD4 T-cell responses with Dr. Cara Wilson. After an internship and residency in Internal Medicine at Johns Hopkins Hospital, he came to NIAID as a fellow in infectious diseases. Following the clinical portion of his fellowship, he joined Dr. Daniel Douek's laboratory at Vaccine Research Center, where he worked to understand the cellular and molecular events that allow HIV reservoirs to persist in vivo. He joined the NIH faculty to establish the VPDS in 2017. Genetic and gene expression analyses of viruses and host cells. Prof. Liliya Pekova is a specialist of Infectious diseases and Epidemiology. She is the head of the Dept. of Infectious diseases of Medical Faculty, Trakia University, Stara Zagora, Bulgaria and a chief of the Clinic of Infectious diseases in the University Hospital at the same city. She has recently led a science project in the field of viral Neuroinfections with many different involving specialists. The accumulated great clinical experience in this area gives her reason to look for the prognostic factors and opportunities for early diagnosis and proper treatment. Natalia Romanenkova is the leading researcher of the department of virology and scientific responsible for international scientific Projects and courses in the field of virology of Pasteur Institute in Saint-Petersburg, author of more than 100 scientific publications. She is virological supervisor of WHO Subnational Laboratory for Poliomyelitis in Saint-Petersburg and expert in surveillance and diagnostics of poliomyelitis and enterovirus infections, studies of the circulation of polioviruses and non-poliomyelitis enteroviruses among population and in the environment, immunology and molecular epidemiology of viral infections. She has certificate of Appreciation of WHO Regional Office for Europe for her contribution to the success of Poliomyelitis Eradication in Russia and European Region. Dr. Pramod Jog, M.D. (Ped), DNB(Ped),F.I.A.P.is Prof. of Pediatrics at D.Y.Patil Medical college, Pune, India. He has been the President of Indian Academy of Pediatrics, 2016. He is Standing Committee Member, IPA (International Pediatric Association ) 2016-19 ,Steering Committee Member, GAVI (CSO) 2016-19 & Associate Fellow, International Association of Perinatal Medicine. Pierre A. MORGON is the Founder of MRGN Advisors. He is Chairman of the board of Virometix and he is Non-Executive Director at the boards of Theradiag and of Eurocine Vaccines. He is also Regional Partner for Switzerland at Mérieux Development. He holds a Doctorate of Pharmacy, a Master in Business Law and a MBA. He is also an alumnus of INSEAD, IMD and MCE executive programs. Dr. Diaz-Mitoma is a renowned medical scientist and professor who most recently served as a professor of the Northern Ontario School of Medicine (“NOSM”). While in this position, Dr. Diaz-Mitoma was Vice President of Research at Health Sciences North and founder of the Advanced Medical Research Institute of Canada (“AMRIC”) and served as its Chief Executive Officer and Chief Scientist. AMRIC is focused on translational medical and vaccine development research. Prior to joining the faculty at the NOSM, Dr. Diaz-Mitoma was a professor of Pediatrics, Pathology, Laboratory Medicine, and Microbiology at the University of Ottawa. While in this position, he founded the Vaccine and Infectious Disease Centre at the Children’s Hospital of Eastern Ontario (“CHEO”), a pediatric health and research center. Dr. Diaz-Mitoma received his medical degree from the University of Guadalajara, completed fellowship training in Infectious Diseases at the University of Manitoba, and earned a Ph.D. in Virology from the University of Alberta. Medical and cosmopolitan professional specialized in infectious diseases, internal medicine covering various therapeutic axes, certified in Immunology and Pediatric, MBA vaccinology and years of clinical practice contributing to bring innovative science and diplomacy for global health. Lived multi-country medical “field “experience in Southeast Asia (India in particular), West/Central/East Europe. Speaking French, English, Russian, Italian, Czech, Slovak with notion of Mandarin. Over 15 years of experience in pharmaceutical research and development for European and USA companies (Director of R&D for new delivery platforms focused on children and elderly) for various therapeutic areas for adults and children including neurodegenerative diseases, infectious diseases, metabolic diseases and orphan indications. Active member of French immunology society (SFI) administrative board and several international academic societies (focus on innovation of R&D reflecting immunology and genetic variability, role of immunologic approach for treatment and diagnostic, tackle problem of resistance for antimicrobials, antimalarial, antivirals etc.). Member of advisory Health concern (India) and think tank group in order to attract attention to role of immunology, personalized and preventive medicine and accurate diagnostic and global cooperation in this area. Years of expertise to work globally within Europe, USA but recently more focused on BRICS - Asia (India in Particular) as a Medical advisor bringing new innovative concepts alive and getting them endorsed. Prof. Olga Kubar is Head of the Clinical Department at Pasteur Institute, St. Petersburg. She is an experienced Regulatory Adviser at the national and international levels (UNESCO and IPA CIS) with particular expertise on Human Rights related to medicine taking into account social, legal and environmental dimensions. Prof. Kubar has contributed to guidelines, internationally (recommendations, reports, model laws for WHO, UNESCO and IPA CIS) and is a Member of the Russian Bioethics Committee at the Commission for the Russian Federation for UNESCO, Ex-Chair and Honorary member of the Forum for Ethics Committees in the Commonwealth of Independent States (FECCIS), and a Member of the European Forum for Good Clinical Practice (EFGCP) Board. J. Santiago Mejia MD, PhD is a Research Scientist interested in the development of vaccines and diagnostic platforms to help prevent and control neglected diseases.He have experience with experimental models of several arthropod-borne diseases, including: Lyme borreliosis, leishmaniasis, LaCrosse viral encephalitis, filariasis, Chagas disease and malaria. While exploring strategies to control these diseases. He became interest in arthropod saliva as potential target of pan-arthropod vaccines. He also became interested in the powerful immuno-modulatory molecules present in arthropod saliva and how they could be used in the treatment and prevention of chronic non-communicable diseases. Finally, while looking for methods to induce protective anti-salivary immunity, participated in the development of an inducible lymphoid structure (BluePort) that can be used as vaccination portal and scaffold for tissue engineering. Development of diagnostic tests for infectious, inflammatory, autoimmune and degenerative diseases. Dr. Jan Holmgren, MD, PhD is Professor of Medical microbiology and immunology at University of Gothenburg, Sweden, a chair he took over in 1980 after Prof. Örjan Ouchterlony; he is also Director of the Göteborg University Vaccine Research Institute (GUVAX). JH has published more than 500 papers in the fields of microbiology, immunology and vaccinology, and he is an elected member of various societies and academies including e.g. the Swedish Royal Academy of Science and the Swedish Royal Academy of Engineering. He has also served on many national and international boards, e.g. on the Board of Directors of the Knut and Alice Wallenberg Foundation (Sweden), the International Vaccine Institute (IVI), and the Global Alliance for Vaccines and Immunization (GAVI), and he is a member of several international vaccine-related technical task forces or steering committees. Dr.Tong Ming Fu is a senior scientist at Merck Research Laboratories, and is leading the research lead for Merck CMV vaccine program.He obtained his medical degree at Peking University Health Science Center,formerly Beijing Medical University,in China,and his Ph.D.at Pennsylvania State University,Hershey Medical Center,in US.He joined Merck Research Laboratories after his academic trainings,and has been with Merck Vaccines Research for 20-years.He is active in many aspects of vaccine research, including vaccine target identifications,vaccine designs,immune assays, and animal model development,and his research supported development of Merck novel vaccine programs, including HIV-1 and influenza M2 peptide-conjugate vaccines.He also has research interests in DNA vaccine mechanisms,immune-enhancement by novel adjuvants and antibody-based immune modulations by PD- 1 blockade. Bing-Huei Chen, male, food scientist, received his Ph.D. degree in Food Science & Technology, Texas A & M University, USA in 1988. His postgraduate career include working at Fu Jen University, Taipei, Taiwan as Associate Professor from 1988-1994, Professor from 1994-2000, Distinguished Chair Professor from 2004-present, Chair of Department of Nutrition and Food Science from 1994-2000, Director of Graduate Institute of Medicine from 2006-2009, and Dean of College of Human Ecology from 2012-2015. He specializes in Lipid Chemistry, Pigment Chemistry, Instrumental Analysis, Food Toxicology, Functional Food Development and Biological Activity Determination as well as Nanotechnology. Until now he has published over 175 research articles in internationally renowned journals and authored 11 book chapters in edited books published by International Publishers. He has been honored with a young scientist award and outstanding research award by the Taiwan Association of Food Science & Technology in 1993 & 2000, respectively; outstanding research award by National Science Council, Taiwan in 1993 & 1998; outstanding research award by the 4th International Symposium on Natural Colorants, San Diego, USA in 2000; outstanding research award and Chair Professor by Fu Jen University, Taiwan from 2004-present; Distinguished Professor of Chinese Academy of Agricultural Sciences in 2015; Lifetime Achievement Award by Indian Institute of Oriental Heritage in 2015. Professor Stephen S. Changs outstanding achievement in food science and technology award in 2016 by Taiwan Association of Food Science and Technology. He also serves as Editor-in-Chief of 2 journals Recent Patents on Food, Nutrition and Agriculture and International Journal of Current Toxins Research and Taiwan Editor of Food Quality and Safety as well as Associate Editor of Journal of Food & Drug Analysis. In addition, he serves on the editorial board of 43 journals including Journal of Cell Science & Therapy, International Journal of Cardiology and Lipidology Research, Advances in Biochemical Science and Engineering, International Journal of Food Processing Technology, Journal of Clinical Research and Ophthalmology, International Journal of Biochemistry and Molecular Biology Research, Open Journal of Plant Science, International Journal of Nutritional Health and Food Engineering, Journal of Natural Products Research Updates, SciFed Nanotech Research Letters, Food & Diary Research Journal, Journal of Procedural Dermatology, International Journal of Pharmacology, Phytochemistry and Ethnomedicine, Chromatography and Separation Techniques Journal, Journal of Analytical Oncology, Journal of Research Updates in Polymer Science, Journal of Clinical, Medical & Experimental Images, Otolaryngology Journal, Annals of Urological Research, Annals of Nutrition & Food Science, Remedy Open Journal, Annals of Thoracic Oncology Research, Open access Journal of Pharmaceutical Research, Journal of Medical Devices and Diagnostic Engineering, Mathews Journal of Urology and Nephrology, Mathews Journal of Nutrition and Dietetics, SM Journal of Internal Medicine, Journal of Toxicology: Chemical Research, Pharmaceutical Drug Regulatory Affairs Journal, SM Journal of Clinical Andrology, SM Nutrition and Food Science Journal, Journal Neonatology: Annals of Medical Case Reports, International Journal of Fisheries Science and Research, Journal of Urology Forecast, Journal of Nutrition & Food Science Forecast, Journal of Surgery Forecast, Archive of Food & Nutritional Science, Ophthalmology and Vision Science, Journal of Gynaecology & Obstetrics, Annals of Infertility & Reproductive Endocrinology, Viology & Immunology Journal and Ophthalmology & Glaucoma Journal. Biological Activity Determination, Nanotechnology, Nutrition and Food Science, Lipid Chemistry, Pigment Chemistry, Instrumental Analysis, Food Toxicology, Functional Food Development. Veterinary and Food Safety Agency . 2001 – 2005 – General Director (national coordinator) of the National Program for Research Development and Innovation of the Romanian Government – Biotechnology (BIOTECH) . 1992 - 1995 - Vice – President of the National Council for Scientific Research (organization founded together with the State Secretary Emil Tocaci) . 1991 - 1993 - General Director in the Ministry of National Education – Department of Scientific Research . 1987 – present – Bucharest Oncology Institute – Head of the Research Division . Dr. Najwa Khuri-Bulos is Emeritus Professor and Founding Director of Infectious Disease and Vaccine Center at the University of Jordan (UJ). She earned a B.Sc. degree with High Distinction from the American University of Beirut (AUB), Lebanon, and an M.D. (with Distinction) also from the American University of Beirut (AUB) in 1968. Following graduation, Dr. Khuri-Bulos acquired her residency training in Pathology at Johns Hopkins University, Baltimore, MD 1969, and in Pediatrics at University of North Carolina at Chapel Hill, NC 1970, and Yale university, New Haven CT in 1971. In 1971, Dr. Khuri-Bulos won a fellowship in pediatric infectious diseases at the University of Colorado Medical Center, Denver, Colorado, ended in 1973. Dr. Khuri-Bulos holds the American Board of Pediatrics, and the subspecialty Sub Board of Pediatric Infectious Disease, and the Certification Board of Infection Control. Upon joining UJ, Dr. Khuri-Bulos served as a founding member of the Department of Pediatrics and was instrumental in laying the foundation for postgraduate training (residency) in pediatrics at the university and later in her capacity as chairman of the pediatric team of the Jordan Medical Institute, where she also served as Chairwoman of the Jordan Board Committee in Pediatrics. In addition to that, throughout her career, Khuri-Bulos held several academic and administrative positions at UJ and other institutions, including Chairwoman of the Department of Pediatrics (3 times), Founding Head Division of Infectious Disease, Chairwoman of the Division of Pediatric Infectious Diseases at King Hussein Cancer Center, Founding Chairwoman of the Infection Control Unit at the Jordan University Hospital, Vice Dean of the Faculty of Medicine, and Dean of Research at UJ. Dr. Khuri-Bulos served as a technical advisor to the Jordan Ministry of Health from early nineteen eighties till the present time. She helped develop, implement, evaluate and upgrade the Jordan EPI program, also served as the Chairwoman of the Jordan Medical Board committees in Pediatrics and Chairwoman of the Board Committee on Infectious Disease. She is the Chairwoman of the National Certification Committee for Polio eradication and is the Chairwoman of the National Immunization Technical Advisory Group. Dr. Khuri-Bulos served also as a member of many international committees including the Standing Committee of the International Pediatric Association, and Decade of Vaccines and the Immunization Practices Advisory Committee with the WHO. She also served as a consultant for the WHO on several occasions including Vaccine adverse events and influenza preparedness committee. Dr. Khuri-Bulos has been publishing on the subject of infectious disease since her early years at UJ till the present time. Her research collaboration with Vanderbilt University has earned her Adjunct Professorship at that University, where she also serves as advisor for student exchange at the time being. Dr. Khuri’s extensive work was honored with many awards and prizes, including the Fellow of the Infectious Diseases Society of America (FIDSA), Queen Noor Award for Women in the Sciences 1984, Abdul Hamid Shoman Prize for Young Arab Scientists 1985, the University of Jordan Award for Women in Academia 2008, the Jordan Medical Association Award for outstanding Physicians 2009, the University of Jordan Merit Award on the 50th Anniversary 2012, and Distinguished Professor 2014. Dr. Khuri-Bulos is a highly published scholar with more than 60 articles in peer reviewed journals and publications. She has also participated in numerous scientific conferences and meetings in the Arab world and abroad. She has also been an invited speaker on many issues related to infectious diseases and pediatrics both nationally and internationally. Dr. Byungse Suh is a Professor in Lewis Katz School of Medicine at Department of Microbiology and Immunology, Temple University. Dr. Byungse Suh received his MD, University of Miami and Postdoctoral Fellowship, Biochemistry, University of Iowa. Internship and Residency, Internal Medicine, University of Wisconsin Hospital. He is an Member of Fellow, Infectious Diseases Society of America and American Society for Microbiology. Dr. Byungse Suh Research interests includes Pharmacokinetics of antimicrobial agents, Drug protein binding in disease states, In vitro determination of drug photo toxicity, Clinical trial studies of antimicrobial agents. Dr. Igor S. Lukashevich is a Professor in School of Medicine at Department of Pharmacology and Toxicology and Center for Predictive Medicine, University of Louisville. Dr. Lukashevich received his MD degree from Minsk Medical School (Belarus) and PhD and DSc (Doctor of Sciences) Degrees in Virology from Institute of Virology, Academy of Medical Sciences in Moscow (Russia). His post-doctoral training was focused on molecular biology of viral hemorrhagic fevers (CDC, Atlanta, GA, USA; Institute of Tropical Medicine, Antwerp, Belgium; University of Hamburg, Heinrich-Pette Institute of Experimental Virology and Immunology). From 1990-1993 he served as an invited expert on hemorrhagic fever viruses at University of Conakry/IRBAG, Guinea, and as a consultant of German Agency for Technical Cooperation(GTZ). From 2001 till 2011 he served as Assistant, and then Associate Professor in Institute of Human Virology, University of Maryland, Baltimore, MD, USA. Dr. Igor S. Lukashevich research interest includes molecular biology and pathogenesis of viral hemorrhagic fevers. His current projects mostly focus on innovative approaches in vaccine research and development: rational design of live-attenuated vaccines, recombinant YF17D-based vaccines; advanced alphavirus replicon technology; infectious DNA vaccines; and his target infectious are: Lassa Fever and South American Hemorrhagic Fevers, Chikungunya, Yellow Fever, and Venezuelan Equine Encephalitis. Professor Frederic Deschamps is a medical doctor since 1990 and he has completed his PhD of toxicology in 1993 at the University of Lille, France. He is the director of the Department of Occupational Health of the Medicine Faculty of Reims, France. He has published more than 40 papers in medical journals about occupational health and diseases. Maysaa El Sayed Zaki PhD, MD in Clinical Pathology-Clinical Microbiology and Immunology is Professor at Mansoura Faculty of medicine and director of clinical laboratories in Mansoura university children hospital and member of the higher promotion committee for Egyptian universities Professor (Clinical Pathology).Professor Dr Maysaa has over 120 scientific papers and projects either presented or published. She is internationally recognized expert in many areas of advanced medicine including clinical microbiology, diagnosis of infectious diseases, molecular biology, Clinical research and drug discovery.. Recent publications also include books on the use of modern technology in laboratory diagnosis like omics technology and nanomedicine. Dr Maysaa has awarded the university award of Academic Excellence and is a member of Who,s Who for International Executives. Dr. Maysaa El Sayed Zaki has research interest in Global, regional, and national incidence and mortality for HIV, tuberculosis, and malaria. Dr. Leondios Kostrikis received his BSc degree (Biochemistry) in 1987 as a Fulbright scholar and his Ph.D. (Architectural Studies of Inoviruses) in 1993 from New York University, United States. This was followed by post-doctoral research at the Aaron Diamond AIDS Research Center of Rockefeller University (New York) on the molecular virology of human immunodeficiency virus type 1 (HIV-1). He was a recipient of fellowships from the Elizabeth Glazer Pediatric AIDS Foundation and the Aaron Diamond Foundation. He joined the faculty of the Aaron Diamond AIDS Research Center as a staff investigator in 1998 and the Rockefeller University as an Assistant Professor in 1999. He is currently a Professor in the Department of Biological Sciences at University of Cyprus and he is the Head of the Molecular Virology Laboratory. A professor at Arizona State University, Arntzen is considered the godfather of a growing field of research sometimes called "pharming": engineering plants to produce specialized vaccines and other drugs. ZMapp, an injectable synthetic serum he helped devise using genetically engineered antibodies grown in tobacco plants, is currently the most promising drug treatment for people infected with Ebola. ZMapp still wasn’t approved for human use when it was given to two American health care workers who had been infected in Liberia last year, and Arntzen didn’t even find out about the real-life trial until after the fact. But by the time he got the news, the patients were showing rapid improvement, "which was very exciting," he says. Both recovered. Last fall, the U.S. Department of Health and Human Services pledged up to $42 million in funding to speed the development of more serum. By February, there was enough supplies to begin clinical trials in Liberia and the U.S. Although the Ebola outbreak in West Africa has slowed, the threat of recurrence is real—and the risk of similar epidemics may be increasing. Pharming, which is now getting support from Big Pharma, could be the key to responding to future threats, providing a large supply of drugs or vaccines at epidemic speed. Stephen Johnston is currently the co-director for the Center for Innovations in Medicine (CIM), a Professor in the School of Life Sciences, and Director of the Biological Design Graduate Program at The Biodesign Institute at Arizona State University. The CIM's and Dr. Johnston's current work focuses on innovative solutions to fundamental problems in biomedicine. The CIM is unique in that it has brought together a group of interdisciplinary scientists who first identify a problem, analyze the physical economy basis of the related issues and then come up with an inventive solution. Current major projects are 1) Cancer Eradication: The focus is on developing a universal, preventative cancer vaccine, 2) Health Futures: The aim is to produce a diagnostic system that allows continuous monitoring of the health status of healthy people - helping in the revolution to pre-symptomatic medicine. Dr. Johnston has experience in basic science, notably first cloning the Gal4 gene, showing that proteins have separable functional domains, and discovering the AAA proteins and their role in transcription. His focus now is in translational sciences and technology development. He was co-inventor/innovator of pathogen derived resistance, organelle transformation, the gene gun, genetic immunization, TEV protease system, expression library immunization, linear expression elements, synbodies and immunosignaturing. He is author of over 150 journal articles, has over 20 patents, and has garnered approximately $85M in grant support including large programs from DARPA, NIAID and NHLBI. Pr. Frédéric Deschamps is a medical doctor since 1990 and he has completed his PhD of toxicology in 1993 at the University of Lille, France. He is the director of the Department of Occupational Health of the Medicine Faculty of Reims, France. He has published more than 40 papers in medical journals about occupational health and diseases. Dr. Fouts joined Profectus in 2005 as one of the founders and the principle scientist. His responsibilities have been as a member of senior management to direct the team of scientists and technicians in the discovery and preclinical development of HIV vaccines, small molecule and antibody based antiviral therapies and microbicides that are within the Profectus research portfolio. He continues with that role as Senior Director of Virology. Dr. Fouts has 3 issued patents and numerous patent applications that form the vaccine and therapeutic technologies that are the intellectual property used to start Profectus BioSciences. Prior to joining Profectus, Dr. Fouts held a faculty position at the University of Maryland, Baltimore. Dr. Fouts has more than 32 scientific publications that have appeared in peer-reviewed journals and book chapters. Dr. Fouts received his Ph.D. in Immunology from the University of Maryland, Baltimore and did a postdoctoral fellowship at the Aaron Diamond AIDS Research Center (Director, Dr. David Ho) at Rockerfeller University in NYC. Dr. Zanetti is the Director of tumor immunology for the UCSD Center for Immunology, Infection and Inflammation. He directs the immunology course in the Biomedical Sciences graduate program. principles of immunity for protection or discuss the state of the art of cancer vaccines. Ravi Pottathil is President of Accudx Inc., a strategic technology and consulting company. Dr. Pottathil is an entrepreneur with a 40-year history spanning academia, industry, invention, and company creation. In 1996, Dr. Pottathil created Accudx as a diagnostic assay manufacturer. This company has progressed into consulting, technology and product development, and intellectual property services in biotech, medtech, and ecotech. His experience in academia and industry has covered various aspects of biochemistry, molecular biology, mammalian genetics, medical virology, tumor biology, and diagnostics, in both academic and industrial settings. As Chief Process Scientist at PetroAlgae, he was responsible for the development and scale up processes for growth, harvesting and processing of micro-algae. As a founding member and Director at Specialty Laboratories International, he successfully set up a large number of esoteric Clinical Reference Laboratories in Mexico, Singapore, Malaysia, and India. This involved extensive project planning, technical training and technology transfer. As a Vice President of Life Sciences at XLTech Group, he was co-founder of a number of publically listed companies including Tyratech [www.tyratech.com], Petro Algae, [www.parabel.com] and Initio Fuels [www.initiofuels.com]. As an academician, he has extensive teaching experience that includes original research and teaching at The Jackson Laboratories, The Duke University, University Of Maryland, The City of Hope Medical Center, The Rutgers University, Ambala College of Engineering, India, A&F University, Yangling, China and Florida International University. He has a number of issued patents. Current active projects of Dr. Pottathil include “target specific nano-ablation” of cancer highly sensitive nanotechnology based Point of Care Devises for the early detection of infectious diseases such as dengue, malaria, HIV and TB. He is also leading research and development activities related to non-toxic natural essential oil based insect control and chelated micronutrient based enhanced biomass and food production. 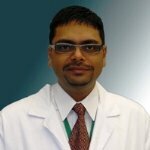 Dr. Pottathil is a graduate of Tata Cancer Institute in Mumbai, India. He completed his post-doctoral fellowships at The Jackson Lab, Bar Harbor, ME and Duke University, NC. He worked as a Senior Manager at Hoffman La-Roche and was instrumental in their diagnostics program. He is currently a visiting professor at Florida International Univ. Miami. nano delivery systems, aptamers and nano formulations. Professor Allan Cripps is recognised internationally for his research in the field of mucosal immunology. Much of this work has been directed towards mucosal immunisation against a range of bacterial pathogens, particularly those of the respiratory tract. He has published extensively in the peer reviewed literature, presented his research findings at numerous international scientific and medical conferences and has been the recipient of a large number of competitive government and industry research grants. In addition, Professor Cripps has a significant patent portfolio in the fields of diagnostics and vaccine protein antigens. Professor Cripps joined Griffith University in May 2003 where he has been responsible for the establishment of the University’s School of Medicine and Health Faculty. He is currently the executive head of the Health Faculty at Griffith and maintains his keen interest in mucosal immunology and respiratory tract infections. He is also the Editor in Chief of the journal pneumonia and is an active member of a number of committees and Boards in the fields of immunology, infectious diseases and vaccinology. Chief Technical Officer at Vaxin Inc.
Dr. De-chu Christopher Tang is the Founder of VaxDome LLC and Vaxin Inc. He obtained his PhD in Microbiology from Indiana University in 1989. He carried out his postdoctoral work at Baylor College of Medicine, Duke University, and University of Texas Southwestern Medical Center. He joined the faculty at University of Alabama at Birmingham (UAB) in 1994; subsequently founded Vaxin Inc. on UAB campus in 1997; and was responsible for Vaxin’s daily operation as the Chief Scientific Officer until 2012. Dr. Tang was one of the pioneers during the development of DNA vaccines, noninvasive skin-patch vaccines, adenovirus-vectored nasal vaccines, adenovirus-vectored poultry vaccines, as well as the protective innate-adaptive immunity duo platform technology. He received the Wallace H. Coulter Award for innovation and entrepreneurship in 2000; and Vaxin Inc. was selected as a Tech Museum Awards Laureate in 2007. Dr. Tang was selected as a Distinguished Overseas Scientist by the South Korea KOFST Brain Pool Program in 2012; subsequently joined Chung-Ang University and IVI in Seoul; and was appointed as a Scientist at IVI after the Brain Pool Program Award expired in 2013. He founded VaxDome LLC in Birmingham, Alabama, USA in 2014. His special interests include treatment of the common cold, prophylaxis and treatment of infections in transplant recipients, and hepatitis C virus epidemiology. Development of vaccines to prevent chlamydial infections Traditional vaccine approaches have been unsuccessful in preventing chlamydial infections. We have used novel DNA vaccination and bioinformatics approaches to identify protective chlamydial antigens that are conserved across several chlamydial species. Using combinations of these antigens we can reduce both the duration and magnitude of infection and reduce infection-associated inflammation that is the cause of infertility in animal models of chlamydial infection. Development of needle-free immunisation methods Novel approaches to vaccination including topical application to skin (transcutaneous immunisation), intranasal immunisation using drops or sprays and sublingual immunisation where vaccines are applied to the buccal epithelium are being investigated as an alternative to the traditional needle-based vaccines. In animal models these approaches can protect against Chlamydia and Helicobacter infections. Affect of chronic chlamydial infections on inflammation and immunity Chlamydia not only infects epithelial cells but can also infect immune cells such as dendritic cells and macrophages. Infection of these immune cells alters their function in a way that not only allows the Chlamydia to persist in the host but also increases the pro-inflammatory immune responses that cause conditions such as asthma. Dr. Tarl Prow is the Deputy Director of the Dermatology Research Centre within the School of Medicine and heads a group of 10 researchers focused on nanotechnology and micromedical devices for dermatology. In 2004, Dr. Prow earned his Ph.D. from the University of Texas in the field of Nanomedicine. He then completed his NIH-T32 funded fellowship at The Johns Hopkins Hospital and was faculty there until he relocated to the University of Queensland in Brisbane, Australia in 2007. He is multidisciplinary researcher with internationally recognized expertise in the fields of micro-medical device development, nanodermatology and topical drug delivery. Since joining the University of Queensland, Dr. Prow has published more than 50 peer reviewed manuscripts in top journals with an average impact factor of 6.15. He more than 35 total publications in top ranked journals including Advanced Drug Delivery Reviews, Hepatology, Nucleic Acids Research, Biomaterials, Advanced Functional Materials, Small, Nanomedicine and Journal of Controlled Release. Dr. Prow is an inventor on 6 patents and patent applications in the areas of nano- and micro-medical devices. "Skin cancer diagnosis is moving toward more accurate, non-invasive approaches with in vivo imaging techniques at the forefront. My group has worked with clinicians to develop automated image analysis software to identify lesions suspicious for skin cancer. We have developed a stacked 3D microneedle device, MicrobiopsyTM, for instantaneously capturing small pieces of skin from suspicious lesions for molecular analysis. Finally, we have developed and patented a novel platform for field-directed drug delivery, Foroderm™. Together, these technologies are the first step toward quantum improvements in how skin cancer is detected and treated." I am Professor of Virology at the School of Chemistry and Molecular Biosciences and founding member of the Australian Infectious Diseases Research Centre at the University of Queensland. A major research interest in my lab is the structure and function of viral proteins and their role in viral pathogenesis and potential as targets for antivirals and diagnostics. These studies focus on two globally important mosquito-borne pathogens, West Nile virus (WNV) and Chikungunya virus (CHIKV) and have recently led to the development of novel vaccine candidates, potent immunotherapy agents and potential new targets for antivirals against WNV and CHIKV. A major research interest in my lab has been the study of the structure and function of flavivirus proteins with a focus on their role in viral pathogenesis and their potential as targets for antivirals and diagnostics. These studies focus on two globally important mosquito-borne pathogens, West Nile virus and Chikungunya virus. These studies have recently led to the development of novel vaccine candidates, potent immunotherapy agents and potential new targets for antivirals against West Nile virus infection. Another major theme of my research is viral ecology and epidemiology. This includes isolation and genetic characterisation of new arthropod-borne viruses and assessment of their distribution and activity by serological surveys and surveillance. These studies have led to the discovery of several new mosquito-borne viruses in Australia and spawned major projects for the development of novel reagents and methodologies to enhance the accuracy and effectiveness of viral detection and disease diagnosis. Wu Yuzhang, born in 1963, Shandong Qingzhou, Immunology PhD, Professor, PhD supervisor. Currently the director of Basical Medicine College of Third Military Medical University, director of Institute of Immunology of PLA, director of National Engineering Research Center for biological products, director of National and Local Joint Engineering Labolatory for peptide drugs, director of National Biological Industry Base (Chongqing) pharmaceutical pilot production center. Professor Wu is a pioneer in antigen project field and an academic leader in China’s therapeutic vaccine field. He is the winner of National Outstanding Youth Science Fund, Ministry of Education “Changjiang Scholar” Distinguished Professor, elected to the National New Century Talents Project, enjoying special government allowances, General Logistics Department “Technology Golden Star”, military academies “Yucai Award” Gold Award and other honors. Academic position: Member of the Sixth discipline review group of Academic Degrees Committee of the State Council, member of National Postdoctoral Mobile Station evaluation committee, member of National Pharmacopoeia Committee, biological and medicine department member of the Sixth National Ministry of education science and technology committee, National Natural Science Foundation discipline review group member, National Drug Evaluation Committee expert, New drug innovation National Science and Technology Major Special responsible expert, standing director of Chinese Society of Immunology, council member of Biophysical Society of China, Director of PLA professional committee of Immunology, Standing Committee of the General Logistics Department science and technology committee, chairman of Chongqing Society for Immunology, “Immunological Journal” chief editor and so on. Dr Alsharifi grew up in Babylon/Iraq and studied Veterinary Medicine at Baghdad University. He was increasingly interested in medical research and after coming to Australia he studied Biomedical Science at Monash University. He then moved to the Australian National University to take up a PhD scholarship at The John Curtin School of Medical Research, and investigated with Arno Müllbacher, Robert Blanden, and Mario Lobigs the immunobiology of an alphavirus infection. During his early years in research he discovered a period of exhaustion in type-I interferon response following an acute viral infection, which may explain the clinically known observation that virus-infected patients are at increased risk to a more sever secondary viral and/or bacterial infection. Following the completion of his PhD studies, he investigated with Prof Müllbacher the possibility of using gamma-irradiated influenza virus as a universal flu vaccine. In 2008, he was awarded the Hanson Fellowship to continue his research into the universal Flu vaccine and also to investigate the possibility of producing other viral vaccines using similar technique to that used for influenza. His flu vaccine research has been featured in the Catalyst program on ABC (http://www.abc.net.au/catalyst/stories/2613604.htm), and in many newspaper articles such as (http://www.news.com.au/adelaidenow/story/0,,25625291-5018662,00.html) and (http://www.news.com.au/adelaidenow/story/0,22606,25406694-5006301,00.html). I. Cross-Protective influenza vaccine. Protection against re-infection with homotypic influenza virus is mediated primarily by neutralizing antibodies but recovery from newly arisen influenza virus infections requires cytotoxic CD8+ T (Tc) cells. While neutralizing antibodies target mainly the viral surface glycoproteins (HA and NA), which are subject to frequent antigenic variation, influenza-immune Tc cells target the more conserved proteins, such as the viral nucleoprotein (NP) and matrix protein. Accordingly, any universal influenza vaccine should have the capability of inducing cross-protective Tc cell responses. We have reported that gamma-irradiated influenza A virus preparations can induce cross-reactive Tc cell responses and shown that a single intranasal administration of g-H1N1 protects mice against lethal avian H5N1 and other heterotypic influenza A infections. potential projects for postgraduate research students would be in the areas of: 1. Cross-protective cytotoxic T cell responses induced by g-flu. 2. The role of the cytolytic effector molecules in recovery from influenza infection. 3. Cross-protective antibody responses induced by g-flu. 4. Recognition of g-flu and the induction of cross-protective immunity. II. Exhaustion of IFN-I response and the susceptibility to secondary infections. We have previously reported that type I interferon (IFN-I) response mediates systemic, partial lymphocyte activation which is evident by elevated expression of CD69 and CD86. Using avirulent strain of Semliki Forest Virus (SFV) as a model, we have found that induction of both IFN-I response and the associated lymphocyte activation to be dependent on virus viability as γ-irradiated SFV (γ-SFV) failed to induce either. We have also reported a period of exhausted IFN-I responses as a result of primary viral infections, which was associated with enhanced susceptibility to a secondary infection with an unrelated virus. Our aim is to investigate the underlying factors responsible for the deficiency in IFN-I responses following acute viral infections, and to address some therapeutic approaches to alleviate the period of the enhanced susceptibility. Interestingly, we found γ-irradiation of influenza virus, in contrast to that of SFV, did not abrogate the induction of IFN-I. Thus, IFN-I responses of two unrelated ssRNA viruses and their γ-irradiated counterparts will be investigated to establish a model to study the underlying factors responsible for the deficiency in IFN-I responses. potential projects for postgraduate research students would be in the areas of: 1. Induction of IFN-I responses by SFV and Flu and their g-irradiated counterparts. 2. The consequences of the sub-optimal response to secondary viral infections. 3. The underlying factors for the deficient IFN-I response following an acute viral infection. 4. Possible therapeutic approaches to alleviate the enhanced susceptibility to secondary infections. Dr. M. Tary-Lehmann is an Adjunct Associate Professor of Case Western Reserve University (CASE) Department of Pathology, Co-Founding Scientist and Chief Scientific Officer for Cellular Technology Limited (CTL). She has published more than 75 papers in peer-reviewed journals. She provides guidance and oversight for technical operations in the GLP laboratory, ensuring the ongoing scientific excellence of CTL. 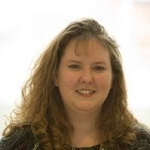 Over the past decade, she has worked with clients and regulatory agencies to develop and validate reference samples and controls for use in regulated immune monitoring assays. Pediatric infectious diseases, Vaccine study Viral pathogenesis and diagnostic microbiology clinical and microbiological studies especially in the field of Human cytomegalovirus,Chlamydia (trachomatis and pneumoniae) Mycoplasma pneumoniae, HIV, Human rotavirus, Measles, Rubella infections. Dr. Stone completed her PhD at the age of 26 years from University Maryland, Baltimore in Bichemistry and Molecular Biology. Her postdoctoral studies were also done at the University of Maryland in the fields of Physiology and Neuorscience. She is the currently the Executive director of Vaccines at Liquidia Technologies, a premier Biotechnology company focused on development of particulate based drug products to provide global health solutions. She has published more than 15 patents and has published many articles in reputed journals. She has a PMP certification and brings a perspective of life cycle managment to product development. Valery A. Petrenko, Professor in Auburn University; graduated from Moscow State University (1972); received PhD and D.Sc. degrees from the Institute of Organic Chemistry (1976) and Moscow State University (1988), and Ranks of Senior Scientist (1984) and Professor in Bioorganic Chemistry and Molecular Biology (1992) from the Government of the USSR. He served as Senior Scientist (1977-1982), Laboratory Head (1982-1985), Associate Director of Research, Institute Director (1985-1989), Vice President of Research and Professor (1989-1993) in the Association “Vector” (Novosibirsk, Russia). In 1993 he joined the faculty of University of Missouri-Columbia as Visiting and Research Professor, and in 2000—the faculty of Auburn University as Professor. He is recipient (PI) of grants from the ARO, NIH-NCI, Calvert Research, LLC, and AURIC. He is member of National Academy of Inventors Chapter (2013), Auburn University Research Initiative in Cancer (AURIC), National Cancer Institute (NCI) Alliance for Nanotechnology in Cancer (2009) and Phi Zeta Honor Society of Veterinary Medicine. His research interests include monitoring and detection of biological threats, diagnosis of infectious and cancer diseases and tumor targeting. Having been educated at Christ Church, Oxford and University College, London in Biochemistry (First Class Honours), Chemical Microbiology and Biochemical Engineering he then spent 7 years as a Senior Process Engineer in industry. The last 3 years in America were spent with Merck Sharpe and Dohme where he was introduced to animal cell biotechnology and the production of viruses for use in veterinary and human vaccines. On returning to the UK he worked for 10 years at the Animal Virus Research Institute, Pirbright, scaling-up bioreactors for virus vaccine production processes and maximizing the biological productivity of the BHK cell lines for Foot-and-Mouth Disease virus generation. He then moved to the University of Surrey as Professor and was Head of Microbiology (7 years) and was then (1997) appointed to the first chair in the UK in ‘Science and Engineering Ethics’. His publication record includes over 200 research papers and reviews along with over 20 edited books and an encyclopedia on animal and plant cell culture technology. In 2002 his book ‘Ethics Tools and the Engineer’ was published by CRC Press. 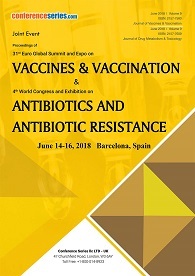 He is currently the Vaccine Series Editor in Chief, and Editor in Chief of Vaccine Research Quarterly, Procedia in Vaccinology, Trials in Vaccinology and ‘Science and Engineering Ethics’. Having founded the European Society for Animal Cell Technology in 1975 and the International Society for Vaccines in 1996 (President: 2007-11), he was elected to be President of the European Association for Higher Education in Biotechnology in 2000. Alexander von Gabain obtained his Ph.D. in Genetics at the University of Heidelberg and held a post-doctorate position at the Stanford University. In the 1980s and 1990s, he was Professor at the University of Umeå and at the Karolinska Institute in Stockholm, Sweden, as well as an advisor to pharmaceutical and biotech companies. From 1992 to 1998, he was Chair of Microbiology of the University of Vienna at the Campus Vienna Biocenter, Austria and has helped to build the public private partnership of the Vienna Biocenter/IMP. In 1998, he cofounded Intercell AG and led the company as CEO until it was successfully floated on the Vienna Stock Exchange in 2005. From 2005 to 2009, he was Member of the Executive Management Board and CSO of the Company. Since then, he has been serving the Company as strategic advisor and chair of the Scientific Advisory Board. His research interest is in the field of bio medical research and documented by a large number of publications, book chapters and patents. He is professor of Microbiology at the Max Perutz Laboratories of the University of Vienna, and foreign adjunct professor at the Karolinska Institute, Stockholm, member of several professional organizations and serves on the boards of biotech enterprises, including TVM Capital, Munich. In 2008, he was appointed to the Governing Board of the European Institute of Innovation and Technology (EIT), where he is involved with the innovative entrepreneurship agenda. His achievements have been acknowledged by prestigious industrial awards, academic prizes, honourable memberships, including the Swedish Royal Academy of Engineering Science. Charung Muangchana is a graduate of Bloomberg School of Public Health, Johns Hopkins University (JHU), Baltimore, USA (2007), for International Health (Disease Prevention and Control; Vaccine Science and Policy as well as Economic Evaluation on Health) for his PhD, and of Siriraj Hospital, Mahidol University, Thailand (1990) for his MD. He is also a field epidemiologist by training from the Ministry of Public Health (Field Epidemiology Training Program: FETP). He got many publications on international and domestic peer review journals on variety of health issues, including vaccine and immunization. He has been a director of the National Vaccine Institute (NVI) Thailand, since 2007. The NVI is a new institute at national level to coordinate national vaccine policy and strategy. The NVI aims to promote vaccine research and development as well as policy development on immunization in the country, which Thailand has high capacity on vaccine development and production. Before joining the NVI he worked as a medical practitioner and directors of community hospitals in Southern Thailand. Dr. Leonard A Smith received a B.A. degree in chemistry and zoology from the University of New Hampshire in 1972 and his Ph.D. degree in biochemistry from Georgetown University in 1978. He is the Senior Research Scientist (ST) for Medical Countermeasures Technology at USAMRMC and Scientific Director at USAMRIID. Dr. Smith has authored or co-authored more than 150 scientific publications, reviews and book chapters, and holds several patents for his work on bio-defense vaccine development. He has received numerous awards including the DOD Distinguished Civilian Service Award, the highest award given by the Secretary of Defense to career employees. Dr. Shirwan is Dr. Michael and Joan Hamilton Endowed Chair in Autoimmune Disease, Professor of Microbiology and Immunology, Director of Molecular Immunomodulation Program at the Institute for Cellular Therapeutics. He conducted his graduate studies at the University of California in Santa Barbara, CA, and postdoctoral studies at California Institute of Technology in Pasadena, CA. He joined the University of Louisville in 1998 after holding academic appointments at various institutions in the United States. Dr. Shirwan’s research focuses on the modulation of immune system for the treatment of immune-based diseases with particular focus on type 1 diabetes, transplantation, and vaccines. Dr. Shirwan is an inventor on 16 worldwide patens, widely published, lectured at numerous national/international conferences, served on study sections for various federal and non-profit funding agencies, and is on the Editorial Board of 16 scientific journals. He is member of several national and international societies and recipient of various awards. Dr. Jeffrey Ulmer received his B.Sc. with honors from the Department of Chemistry at the University of Regina in 1978 and was the recipient of the Merit Award of the Society of Chemical Industry of Canada. He received his Ph.D. in biochemistry from McGill University in 1985 and completed his postdoctoral training in the laboratory of Nobel laureate Dr. George Palade in the Department of Cell Biology at Yale University School of Medicine. At Merck Research Laboratories and Chiron Corporation he conducted seminal studies on DNA vaccines, and novel vaccine adjuvants and delivery systems. He has published over 190 scientific articles, is on the editorial boards of Expert Opinion on Biological Therapy and Human Vaccines, and serves on several external advisory boards. He is currently Global Head of External Research at Novartis Vaccines & Diagnostics, responsible for identification and assessment of new opportunities for collaborative research. Manmohan Singh, Ph.D. is currently the Head of Technical Development (TD) within Novartis Vaccines in Holly Springs, NC USA. He joined NVD TD in 2012 and prior to that had spent 16 years in the Research Division of formerly Chiron and now Novartis Vaccines. He was part of the Chiron/NVD vaccines research team that over the years has developed several innovative antigen and adjuvant delivery technologies. He is a licensed Pharmacist and holds a Masters and a Ph.D. in Pharmaceutics from the National Institute of Immunology, New Delhi India. Dr. Singh is the author of over 120 original research publications, editor of four books on vaccine research and development and is an inventor on over 47 issued patents. Jon Heinrichs is the Director of Microbial Vaccines at Merck Research Laboratories in West Point, PA, where he leads a team of scientists developing vaccines for several bacterial pathogens including Clostridium difficile, Staphylococcus aureus, Streptococcus pneumoniae, and Chlamydia trachomatis. Prior to joining Merck, Dr. Heinrichs held positions of increasing responsibility at the biotechnology company, MedImmune, where he contributed to the identification of vaccine candidates for numerous bacterial pathogens, particularly S. pneumoniae. He was also involved in research on the efficacy of monoclonal antibodies for the prevention of infectious diseases and the treatment of cancer, and was head of the In Vivo Biology group. Dr. Heinrichs earned his doctoral degree in microbiology and molecular genetics from Rutgers University and the University of Medicine and Dentistry of New Jersey, elucidating the pathogenesis of the food-borne organism Bacillus cereus, and completed a post-doctoral fellowship in the Laboratory of Bacterial Pathogenesis and Immunology at The Rockefeller University where he examined global regulation in S. aureus. Dr. Yongqun “Oliver” He is an associate professor in the University of Michigan Medical School. Dr. He is experienced in both vaccinology and computer sciences. His primary interests are host-vaccine interaction mechanism analysis, vaccine development, computational vaccinology, and bioinformatics. His group has developed many vaccine informatics programs including the VIOLIN vaccine database and analysis system and Vaxign vaccine design program. Dr. He initiated and leads the development of the community-based Vaccine Ontology (VO). Dr. He has published over 50 peer-reviewed papers and is an editorial board member of several journals. More information about Dr. He and his laboratory is available at: http://www.hegroup.org/. Shanghai Zerun Biotechnology Co .,Ltd. Periasamy Selvaraj received his Masters degree in Biochemistry from University of Madras, Chennai, India and his Ph.D. from Christian Medical College, Vellore, India. He did his postdoctoral fellowship in cell adhesion receptors of the immune system at Dana Farber Cancer Institute, Harvard Medical School, Boston under the supervision of Dr. Timothy A. Springer. Currently, he is a Professor in the Department of Pathology at Emory University School of Medicine, Atlanta, GA, USA. His laboratory focuses on developing cancer vaccines using novel protein transfer approaches, which could be used as an alternative to gene transfer based cancer vaccines in human clinical settings. He is also co-founder of Metaclipse Therapeutics Corporation, which is in developing personalized immunotherapy for cancers. He has published more than 80 research papers in national and international journals. Currently serves as the Head Section of Infectious Diseases at the University of Manitoba, Winnipeg, Canada. Previously he headed the infectious disease unit and was acting head of Internal Medicine B at the Chaim Seba Medical Center, Israel. He was Lecturer in Medicine at the faculties of medicine in Tel Aviv University, Paris University VII and visiting associate professor at the Albert Einstein College of Medicine. Prof. Rubinstein serves in the advisory board of numerous pharmaceutical and Biotech companies such as Bayer, BMS and GSK, and sits in the Scientific Advisory Board of Rosetta Genomics and BiondVax. He is currently the Chairman of the Israeli Society for infectious diseases and member of numerous international societies and committees. He serves on a dozen of Editorial boards of Medical Journals and has published over 300 medical publication, books and monographs. Prof. Rubinstein holds an MD degree from Basel University and received his specialist degree in internal medicine from NYU. In addition to his medical degree Prof. Rubinstein holds an LLB degree from the Tel Aviv University. Dr Alsharifi grew up in Babylon/Iraq and studied Veterinary Medicine at Baghdad University. He was increasingly interested in medical research and after coming to Australia he studied Biomedical Science at Monash University. He then moved to the Australian National University to take up a PhD scholarship at The John Curtin School of Medical Research, and investigated with Arno Müllbacher, Robert Blanden, and Mario Lobigs the immunobiology of an alphavirus infection. During his early years in research he discovered a period of exhaustion in type-I interferon response following an acute viral infection, which may explain the clinically known observation that virus-infected patients are at increased risk to a more sever secondary viral and/or bacterial infection. Following the completion of his Ph.D. studies, he investigated with Prof Müllbacher the possibility of using gamma-irradiated influenza virus as a universal flu vaccine. In 2008, he was awarded the Hanson Fellowship to continue his research into the universal Flu vaccine and also to investigate the possibility of producing other viral vaccines using similar technique to that used for influenza. His flu vaccine research has been featured in the Catalyst program on ABC (http://www.abc.net.au/catalyst/stories/2613604.htm), and in many newspaper articles such as (http://www.news.com.au/adelaidenow/story/0,,25625291-5018662,00.html) and (http://www.news.com.au/adelaidenow/story/0,22606,25406694-5006301,00.html). Dr. Yasuhiro Yasutomi DVM, Ph.D. is an immunologist in vaccine development field. He was a Research fellow (Immunology), 1990-1991. at Harvard Medical School from 1990-1991 and then Instructor 1992-1994. He was Instructor in Medicine at Department of Viral Pathogenesis in Beth Israel Hospital in Harvard Medical School from 1994-1996. He was associate professor in Mie University Graduate School of Medicine from1996-2007. He is Director at Tsukuba Primate Research Center in National Institute of Biomedical Innovation, and Professor in Mie University Graduate School of Medicine in July 2007 to present. Dr. Uzonna obtained DVM and Ph.D. in Immunology from the University of Saskatchewan, Canada. After a postdoctoral fellowship at the University of Pennsylvania, USA, he was recruited to the Department of Immunology, University of Manitoba in 2004. His research program focuses on understanding cellular and molecular mechanisms that regulate the induction, maintenance and loss of protective immunity to protozoan parasites, with a view to exploiting the information gained from these studies for the development of effective vaccines and vaccination strategies against these infections. Dr. Uzonna is currently an Associate Professor of Immunology and the Leader of Parasite Vaccines Development Research Group. Dr. Tatjana Pljesa received her medical education (MD), specialization (specialist in microbiology and parasitology) and postgraduate studies in Clinical and Experimental Bacteriology at the Medical Faculty, University of Belgrade, Serbia. She is the author of over 30 publications in the field of microbiology and immunology. She has a great experience in production of viral vaccines, bacterial vaccines and diagnostic devices. She was Production Director in the Institute of Virology, Vaccines and Sera Torlak. and now she works in bacterial vaccine production area as Team leader in establishing single-use WAVE technology in the production of pertussis vaccine, diphtheria toxoid and tetanus toxoid projects. Prior to this, she was the Head of Vaccine Production Department, where she managed the production of pertussis vaccine. She was involved in the study of comparing clinical isolates and vaccine strains of Bordetella pertussis by serotyping and genotyping, as a part of the project of surveillance of B. pertussis antigenic divergence and pertussis re-emergence in countries with high vaccination coverage. Vaccine production, Vaccine R&D, Microbiology & Immunology and Development of new products, using single-use technology. Dr. Kishimoto is the Chief Scientific Officer of Selecta Biosciences, a biotechnology company developing synthetic vaccines based on a novel self-assembling nanoparticle technology. Prior to joining Selecta, he was Vice President of Research at Momenta Pharmaceuticals where he led a multidisciplinary team in advancing both novel and complex generic products. Previously he held leadership positions at Millennium Pharmaceuticals and Boehringer Ingelheim. Dr. Kishimoto has published over 50 peer-reviewed articles, including articles in Nature, Science, Cell, and the New England Journal of Medicine. Dr. Kishimoto received his doctoral degree in Immunology from Harvard University and his post-doctoral training at Stanford University. Dr.Robin Robinson was appointed in April 2008 as the first director of the Biomedical Advanced Research and Development Authority (BARDA), and Deputy Assistant Secretary in the Office of the Assistant Secretary for Preparedness and Response within HHS. Dr. Robinson previously served from 2004-2008 as the Director for the Influenza & Emerging Disease Program within BARDA and its predecessor agency at HHS. Dr. Robinson was recruited by HHS from the vaccine industry in May 2004 to establish a program with scientific and technical experts to implement the strategic plans and policies for medical countermeasures outlined in the National Strategy for Pandemic Influenza. These measures included development, acquisition and establishment of national medical countermeasure stockpiles, and expansion of domestic manufacturing surge capacities for influenza vaccines, antiviral drugs, rapid diagnostics, and non-pharmaceutical countermeasures including respiratory devices. For his leadership in this role, Dr. Robinson was the recipient of the Department of Defense’s Clay Dalrymple Award in 2008 and a finalist for the Service to America Medal in 2009. Dr. Robinson received a Bachelor’s degree in Biology from Millsaps College in 1976, a Doctoral degree from the University of Mississippi Medical School in medical microbiology, and completed in 1983 a NIH postdoctoral fellowship with the State University of New York at Stony Brook in molecular oncology. As Director of Vaccines at Novavax, Inc., he developed patented platform vaccine technologies including virus-like particles and subunit protein vaccines for human pathogens including malaria, human papilloma, hepatitis, and influenza and for prostate, melanoma, and cervical cancers. Dr. Robinson also serves on World Health Organization (WHO) international expert teams on pandemic influenza vaccines. Additionally, he continues to serve as an editorial board member and reviewer for several professional scientific and technical journals on virology, vaccines, public health, and biotechnology. He had his D.V.M. education at Jiangxi Agricultural University and my M.S. degree (Co-advisors: Professors Zhongzhi Zhang and Hanchun Yang) in Infectious Diseases and Veterinary Preventive Medicine at China Agricultural University in China. He obtained his professional assistant veterinarian license during his two-year employment at Beijing Xijiao Livestock and Poultry Company, Beijing, China. His training in Brucella research started in 1996 in Dr. Gerhardt Schurig’s immunology laboratory at the Virginia Polytechnic Institute and State University (Virginia Tech). He obtained his Ph.D. in Dr. Schurig\\\\\\\'s lab in 2000. He then worked in the same lab as a postdoc for half a year. He obtained his M.S. degree (research advisor: Dr. Pedro Mendes) in computer science in Virginia Tech with a focus on bioinformatics in May 2002. After graduation he worked as a senior research associate for three years in Dr. Bruno Sobral’s group at the Virginia Bioinformatics Institute (VBI). He joined UM in July 2005 as an assistant professor and became an associate professor in September 2011 (with tenure). Brucella vaccine development,Brucella pathogenesis, Comparative genomics, and Ontology development. Macaulay A.C. Onuigbo is an Associate Professor in Medicine - College of Medicine, Mayo Clinic Regional Director - Mayo Health System Practice-Based Research Network, Vice Chairman - Department of Nephrology, Luther Midelfort Mayo Health System MacMillan Management Scholar Award - Mayo Clinic Fellow of the American Society of Nephrology (FASN), Fellow of the West African College of Physicians (FWACP) Editorial board member/reviewer of reputable journals, including Editorial Board member, Quarterly Journal of Medicine. Over 80 publications in print two book chapters NEW DISCOVERIES: Described two new syndromes – late-onset renal failure from angiotensin blockade (LORFFAB) and syndrome of rapid-onset end-stage renal disease (SORO-ESRD). Hepatitis B in Hemodialysis patients RAAS blockade and kidney function The natural history of CKD Diabetic nephropathy Hypertension Viral infections in Transplantation Acute renal failure Reno-prevention strategies Intra-dialytic hypotension End-stage renal disease Statistics in medical publications Typhoid fever, malaria and FUO Anemia in CKD. Shiladitya DasSarma is a Professor in the Department of Microbiology & Immunology in the University of Maryland School of Medicine and in the Institute of Marine & Environmental Technology, University System of Maryland, Baltimore, Maryland. He received his PhD from the Massachusetts Institute of Technology and did his postdoctoral training in the Massachusetts General Hospital, Harvard Medical School. Use of biological Nanoparticles for antigen delivery and vaccines. Novel approaches to the development of vaccines and vaccination. Dr. Shirwan is \"Dr. Michael and Joan Hamilton Endowed Chair\" in Autoimmune Disease Professor of Microbiology and Immunology and the Director of the Molecular Immunomodulation Program at the Institute for Cellular Therapeutics. He conducted his graduate studies at the University of California in Santa Barbara CA and postdoctoral studies at California Institute of Technology in Pasadena CA. He joined the University of Louisville in 1998 after holding academic appointments at various institutions in the United States. Dr. Shirwans research focuses on the modulation of immune system for the treatment of immune based diseases with particular focus on type 1 diabetes transplantation and development of vaccines against infections and cancer. Dr. Shirwan is widely published lectured at various National/International conferences served on various federal and nonprofit funding agencies and is on the Editorial Board of nine scientific journals He is a member of several National and International societies and recipient of various awards. Dr. Trilochan Mukkur has received his PhD from the University of Florida, USA. Currently he is working as an Associate Professor in School of Biomedical Sciences, Curtin University, Australia. Dr. Mukkur was a Senior Principal Research Scientist in the CSIRO, Division of Animal Health prior to joining the university sector at the University of Southern Queensland [USQ] where he was a Professorial Fellow at the USQ funded by a private biotechnology company prior to moving to Curtin University. He has a total of well over 90 publications mostly in refereed international journals or monographs. Dr. Mukkur has conducted collaborative research at Stanford University School of Medicine, California, Washington University in St Louis, Missouri, and the laboratory of Cell and Molecular Biology at the Lahey Clinic and Medical Centre in Boston, USA. His research is multidisciplinary involving application of medical microbiology, Prokaryotic molecular genetics, immunology, proteomics and biotechnology. He is a Fellow of the Australian Society of Microbiology [FASM]. Human and animal infectious diseases, rational vaccine biotechnologies Complementary medicinal plants as immunomodulators Nutritional immunology. He have done his BS Zoology (Hons.) from Delhi University, India, MS Biotechnology from A M University, India and Ph.D. from AIIMS, India. He was the Post-Doctoral fellow at Indiana University-Purdue University from 1998 to 2003. My research has focused on understanding the role of some important pro-inflammatory cytokines, such as IL-15, IL-18 and IL-12 family cytokines (IL-23, 27) in the disease process in order to find practical ways to regulate the function of those cytokines for disease treatment.